As the spring semester gets underway, everyone has their sights set on resolutions and ways to improve themselves in the new year. We'd love to be a part of your plan and have many ways for you to reach your goals. If you're hoping to get out and see the world, consider reserving your spot on our trip to Ireland in October 2019. It's a great way to experience this amazing country with none of the travel headaches. Leave the planning to us! There are plenty of cultural opportunities on campus. Check out the campus calendar or the upcoming performances at the Galvin Fine Arts Center. And if you are looking for something a bit more formal, check out the newest course offerings. As always, we'd love to see you at an upcoming alumni event or assisting as a volunteer. And don't hesitate to contact us with questions or feedback. We hope you have a great 2019! Best wishes in the new year, Bees! Three events that you don't want to miss! There are opportunities all over the nation. Get involved! 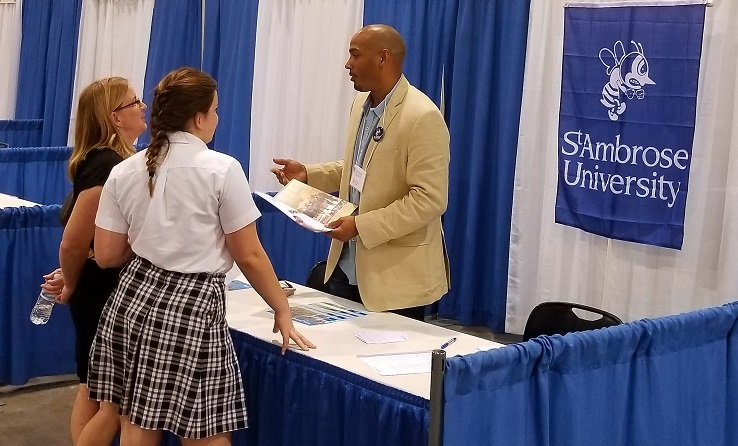 Your support – in time, talents, or donations – means the world to our students and the SAU community. Bees know how to have fun! Homecoming Weekend 2018 was full of events: Pep rally, football game (with a first-ever Marching Band performance), reunion parties, Homecoming dance, the Killer Bee and Bumble Rumble, and more! Don't miss the excitement next year. Make plans to return Sept. 20-22, 2019! We're glad to see you! And we've got lots of ways you can connect back with your alma mater, no matter where you are in life. You are welcome at St. Ambrose anytime. And we'd love to give you a tour of the Ambrose of today and meet our faculty and staff members. 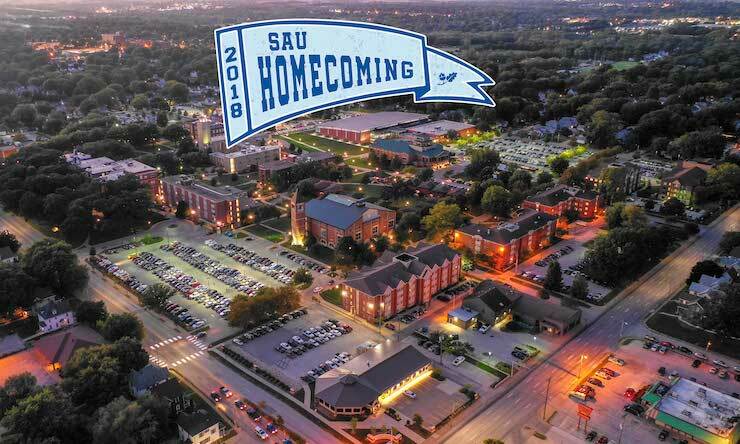 To arrange a special visit to campus, please call Bobby Harris, administrative assistant in the Alumni Office, at HarrisBobbyJ@sau.edu or 563-333-6290. The Alumni Engagement Office proudly offers countless opportunities for lifelong involvement - with your classmates, your friends, and your alma mater. 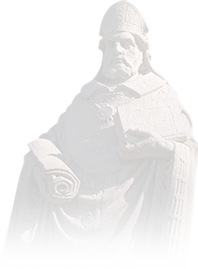 Alumni volunteers play a vital role in the success of St. Ambrose University. See how you can get involved! More than anything else, the Alumni Office is here to strengthen your connection to your alma mater long after walking across the graduation stage. This is our mission, in everything we do. Whether planning events, offering volunteer opportunities, or sharing updates about the state of the university, we are consistently seeking meaningful ways to enhance your relationship with the university. When you earned your diploma from St. Ambrose University, you automatically became a member of the Alumni Association. There aren't any dues – just the benefits of our hardworking Alumni Office team who are here to help you maintain the special bond between you and your alma mater. Are you ready to reconnect with your alma mater? The St. Ambrose Alumni Office has so many ways to stay involved, no matter where life takes you. Become an engaged alumnus today!